Lose yourself in the colorful city of Tinkertown. Rarely does a game come along that an entire family can legitimately play and enjoy. Either it’s way too hard for the kids, contains just a tad too much adult content, or it’s just plain too easy and annoying for anyone over the age of ten. Finding something that will can be enjoyed again and again by family members young and old is a great way to bond with each other (not to mention how easy it is on the pocketbook). 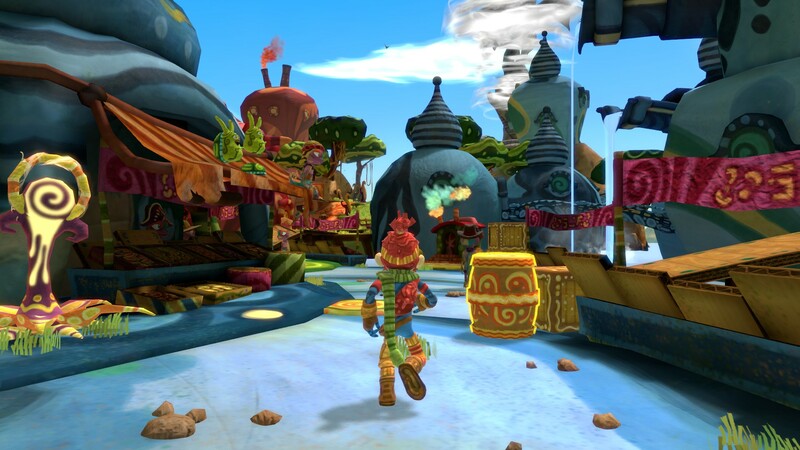 The Last Tinker: City of Colors is a game that seeks to strike the perfect balance between kid friendly and adult fun, with a vibrantly colored world that is tailored to your skill level. 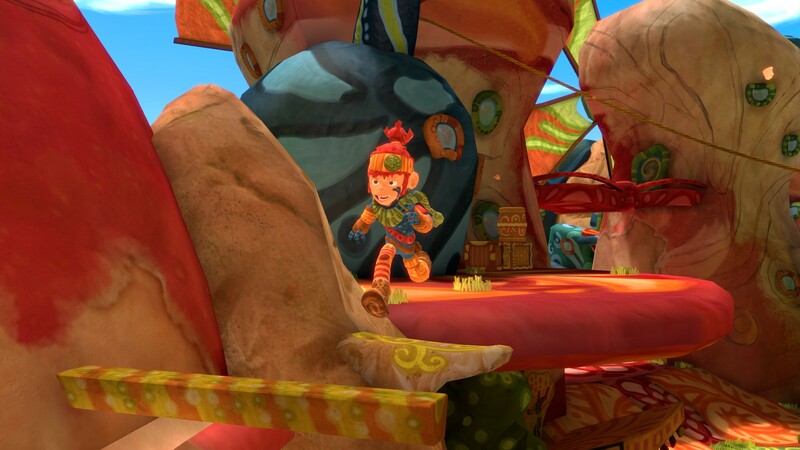 The Last Tinker offers four different skill levels to choose from, ranging in difficulty from Kid’s Mode to Instant Death, so you won’t have to worry about frustration from unskilled gamers *or* boredom for the pro gamers. Regardless of the skill level chosen, you’ll jump right into a world that is filled with colors of every kind – in fact, it’s the colors that are causing an issue in the City of Colors. As the hippie contingent of Tinkertown will tell you, the colors are divided – and that ain’t right. In a thinly veiled representation of racism, the different colors are being divided – and some areas have lost their colors entirely. 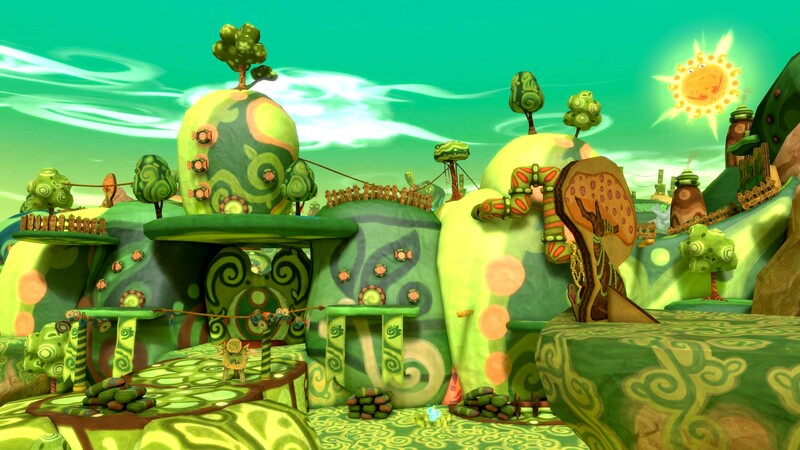 It’s up to one boy – Koru – to stop the Bleakness in Tinkertown and bring it back to its former colorful glory. As Koru, players will explore a beautiful 3D environment in platformer style. Koru can break boxes to find hidden gems and health crystals, jump across a platforms with ease, and ride the rails like an absolute boss. Like the skill levels, your control style is somewhat customizable to your preferences. You can play using the traditional W, A, S, D style, mousing to look around, space bar to auto jump, etc. – but it does tend to keep your fingers flying around the keyboard, and isn’t always the most intuitive of control styles (particularly in combat situations). For those more accustomed to a controller than a mouse, it’s nice to know that the Mac version offers full support for a PS3 controller, making those jumps, kicks, and dodges a much simpler affair. The control scheme for both is easily accessed from the pause menu, and you can switch back and forth easily as well. However you decide to explore the world of The Last Tinker: City of Colors, you’ll find a game that has not skimped at all in aesthetics. The look tends to lean towards cartoony, but in a good way. You can wander around as much as you like, and speak to any and all inhabitants (although many of them don’t have a whole lot to say). The speech bubbles are all in cardboard sign style, which somehow fits very well with the brightly colored world and its animal like inhabitants. Speaking of animals – Koru has a cute little animal friend who will prove of great value to you. Should you be confused as to where to go next, he’ll point you in the right direction with a sweet little “mew” (well, at first anyway – all the mewing does get a little old after a while, but kids will love it). The Last Tinker: City of Colors is a vibrantly colorful world of platforming that is great fun for players young and old. With four different difficulty levels available and as much time as you want to explore, it’s a good choice for gamers of all ages and skills. There isn’t any objectionable content, so parents can feel safe letting their young gamers have a go – but it’s solid platforming fun for grown up gamers as well. 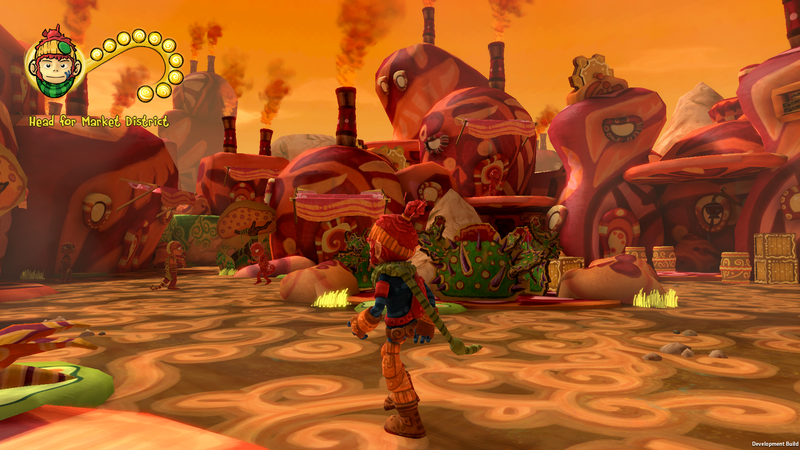 The Last Tinker: City of Colors will be available for PC, Mac, and Linux this summer.